Join us as we learn about countries around the world. Free Printables, Recipes, Art and note booking ideas! These studies were complied and completed by our family of students ages 7 - 14.
land forms and leaders! Our focus this year is compassion for others and world missions bringing the concept of a "global citizen" into our daily life. I have been researching for extra printables/information in the area of Geography. This website with Unit Studies is PERFECT! The links included are just an added extra! 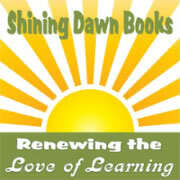 I have been searching for something like this to help with homeschooling! I feel like I struck gold!!! THANK YOU!!!! :) - Brandi S.
I wanted to take some time to refresh my children's memory for continents, oceans, land forms and begin to introduce them to cultural differences and religion. This study was meant for us to take about a week and will introduce the concept of note booking to my children ages 7 - 11. Already 2 AWESOME original art lessons are in the works! Check back next Friday! The continent of Africa is HUGE and diverse. This unit study will focus on several individual countries as well as give the children a general overview of the continent. Art, crafts, science, cooking and other hands on activities bring the culture to life and give the students an appreciation of the diversity of people and compassion for others. Free Unit Study on India. More than just geography lessons. This study was designed to produce thought provoking questions about the caste system and child labor. Embedded in Indian culture for the past 1,500 years, the caste system follows a basic precept: All men are created unequal. Children participating in this study will be encouraged to look compassionately at other cultures. They will explore the varieties of way countries and ministries are reaching out and making a difference today in India. Welcome to our free France unit study. We gleaned resources from home school family blogs, classroom worksheets and even our text book resources to come up with a full sensory unit study. More than just maps and dates, our study includes inspiring information on everything about France including Culture, Food and Geography. Short biographical studies of famous people who made a difference in France. Links to Art and Artist studies that we found fascinating as well as art projects the encourage your painting and creativity. close to home this study takes us through the History of Haiti's early days of the only successful slave uprising and helps us understand the poverty stricken country. Follow Julie's board Free Geography Unit Study on Pinterest. 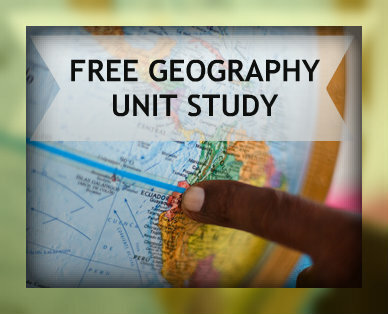 Did you enjoy our free unit studies?